Rated 5 out of 5 by MicroGirl74 from One of the better games I've played in awhile This is my first time leaving a review on here, but I've been playing Big Fish games for many years. Honestly, this is one of the better games I've played in awhile. I loved that it was a murder/stalker mystery with a decent story to it. It felt different and not repetitive like so many other games on here lately. For what it's worth, I had no trouble with the bullseye minigame that several others have complained about. Please make more games with this type of storyline! Rated 5 out of 5 by Cookie827 from Finally a game with lots of puzzles I have not found too many games that I really like, but this one did it for me. I love puzzles and they had plenty of them. Pretty decent story line and the graphics were quite good. 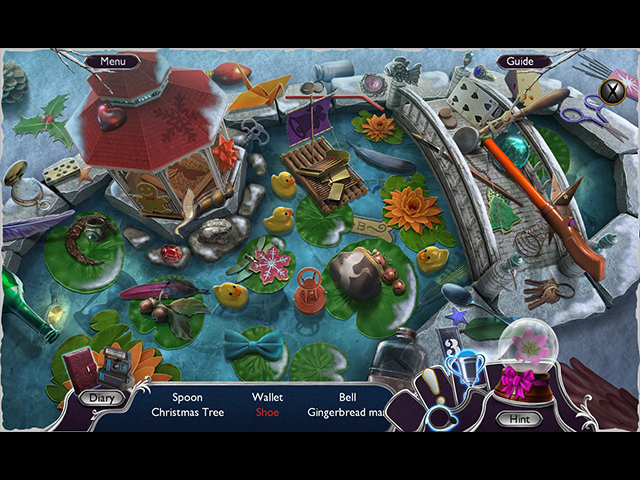 Puzzles were a little bit different which is unusual since most of them are cookie cutter type games. Only thing I wish is that the bonus round was a bit longer. Rated 5 out of 5 by haleyrenee3 from PERFECT MURDER MYSTERY I cant see how there are any negative reviews. This was quite literally, the most interesting murder mystery game ive played here on bigfishgames. I was hooked from the beginning, and thought that each scene was so unique and different from allother games. I usually skip right through lots of scenes, but loved watching the cutscenes, I also thought the game was plenty long, and even the bonus chapter was pretty good. I dont understand the complaints with the character switching either. If youre searching for a murder mystery game with lots to do, lots to investigate & and an awesome storyline, this one is for you. Rated 5 out of 5 by jillaroogirl from Fantastic Game! Another great game that is full of things to do, great graphics, an interesting plot without being dark. Although it kind of reminded me of an older style game, I still loved it...now just looking for the perfect partner to it so I can get it on sale! Rated 5 out of 5 by Valdy from An Excellent Game I haven't been much of an Eipix fan in a while, but I love this game. As with most games, you have to go a bit forth and back, but I loved doing that in the train. It was fun exploring a different kind of environment for a change. 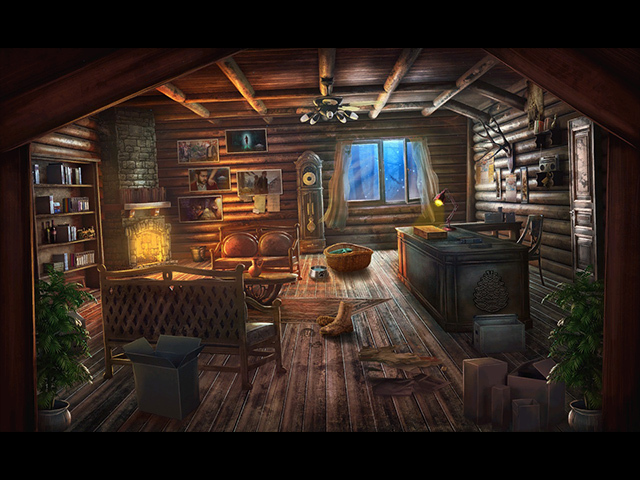 I love the puzzles - not too difficult, not too easy - and the hidden object scenes, of which there aren't too many (thank goodness). I particularly like that I can switch characters, and that - a little into the game - I can buy stuff that will help me advance in the story. I have no technical problems with the game, which I find fun and entertaining to play. Rated 5 out of 5 by lynnpayne from adventure hidden object game Love the real world villain, it's more fun to relate to something that could really happen. 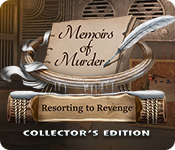 Rated 5 out of 5 by zelsterarch from Old School Murder Mystery Memoirs of Murder is an old school feel murder mystery game. Thankfully, not too many HO scenes. I don't like it when games are full of them. I love hunting for objects and have no issue with going back to scenes. Reminds me of old school adventure games, which I wish more companies would make. I get sick of the royal, fairy tale, witches games, so I'm thrilled to play a murder mystery. This game may not be the best game ever, but it is entertaining and a fun game to play for those who are tired of the same old, same old that Big Fish tends to dish out. Rated 5 out of 5 by jennsmom from It's finally here I'm downloading this after purchase as I write, without doing the demo, because after playing the beta (which I did not want to end), I wrote a note to myself, as I do after playing betas: "Even though there are puzzles that I may need help with, the story is interesting, and captured my attention immediately – and since the “suspect” is supposed to have died 5 years before, it is a real mystery. Want to know what happens next. Easy to play, good graphics – sound could be clearer, but more than acceptable. Buy this when it is released which I hope is very soon." It wasn't soon enough, but I'm glad it's here now. Rated 5 out of 5 by 0Jade from Modern Adventure Story Good job with this one, definitely worth a try. 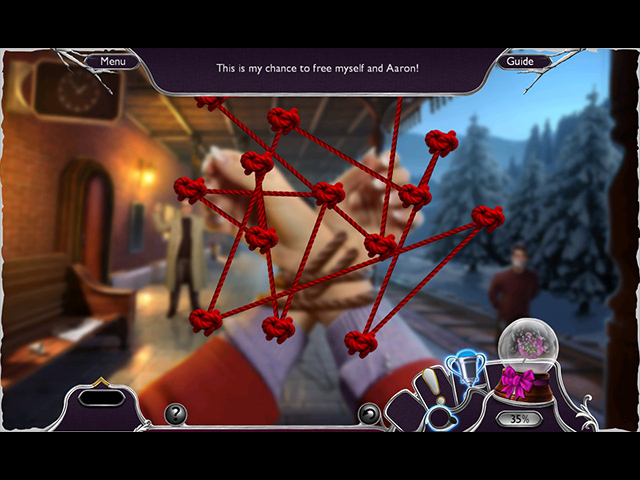 Very good storyline with many puzzles and a moderate number of interactive HOPs. More the for adventure gamer in you than the pure "let me just find stuff" people. Revisiting places does happen, but it makes sense in the game. They are usually kept to 2-3 places at a time. There are ghost statues to find, morphing objects, there is also a teleporting map. Audio visuals are well done; music appropriate. Word of warming - this is not a subject matter for children or sensitive people. It involves psychosis and disturbing murder methods. Puzzles are fairly easy, but fun - other than the subject matter, a nice pastime. Definitely worth the play. Rated 4 out of 5 by BridgettD from A more mature and challenging game This is my first review. I am writing it because this is a more tricky game than most casual games. This seemed to put off some reviewers. I would recommend this game if you want more challenging puzzles, an expert mode option and and a mature story line. There is still room to make these games more challenging, but this is far better than most.